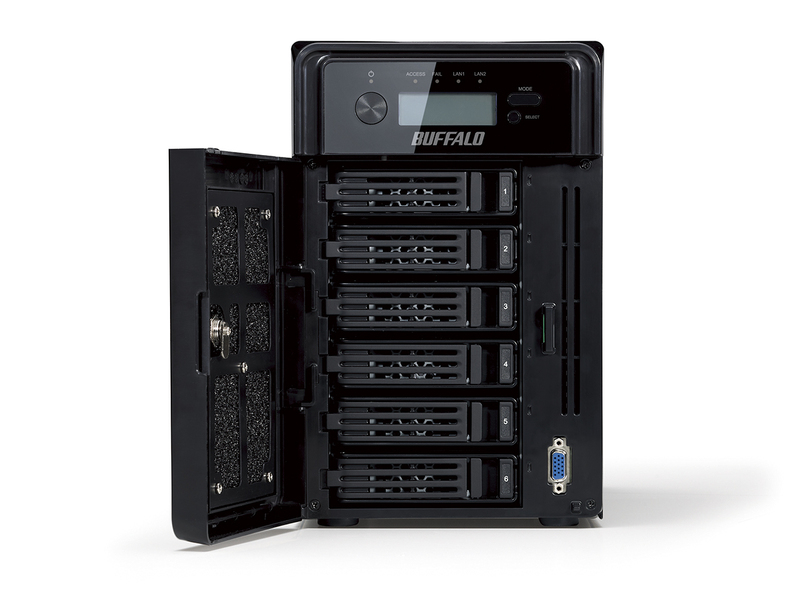 Buffalo’s TeraStation WSH5610DNS2 combines high performance network attached storage with the power and convenience of a Windows® operating system. Not only does the WSH series come fully populated with NAS hard drives, but it also goes an unparalleled step further: welcome to Hardware RAID. Hardware RAID delivers added speed and stability. The specially-designed solution runs the operating system from an SSD drive of its own, which frees the HDD array for user data. 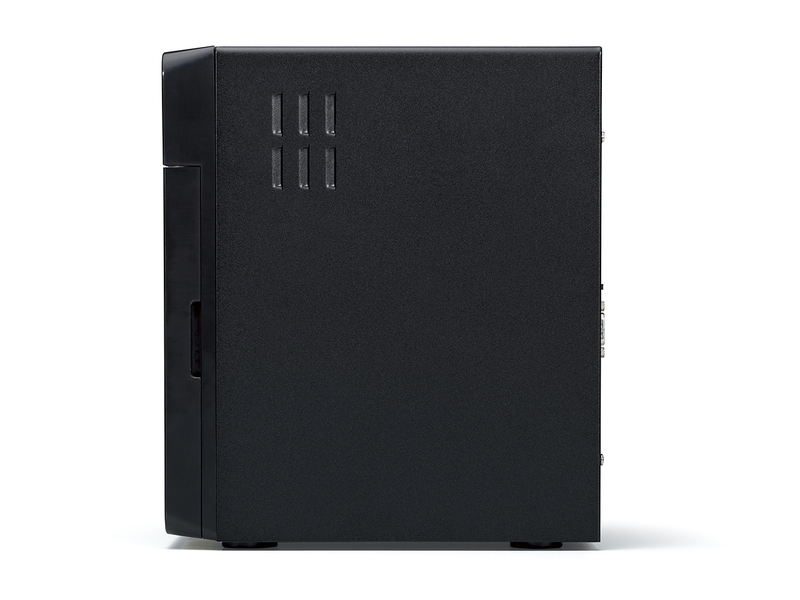 Hardware RAID enables the WSH5610DN to deliver outstanding performance unaffected by ‘heavy load’ operations, even during RAID rebuilding. The WSH5610DNS2 is installed with Windows Storage Server 2012 R2 Standard Edition. It seamlessly integrates with Windows computers and servers on existing networks and facilitates quick, straightforward deployment with massive storage capacity available in an instant. TeraStation WSH5610DN’s dedicated RAID controller separates processes into two different CPUs. 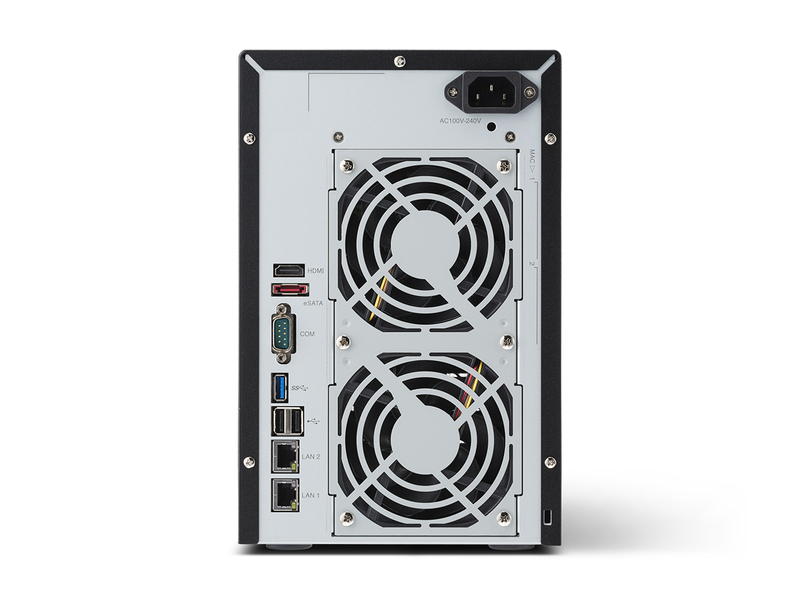 With one CPU running the OS and applications, and the other for RAID rebuilding and I/O operations, the WSH5610DN runs faster and with greater reliability. Under heavy load operations, the WSH5610DN is able to maintain its high performance speeds. 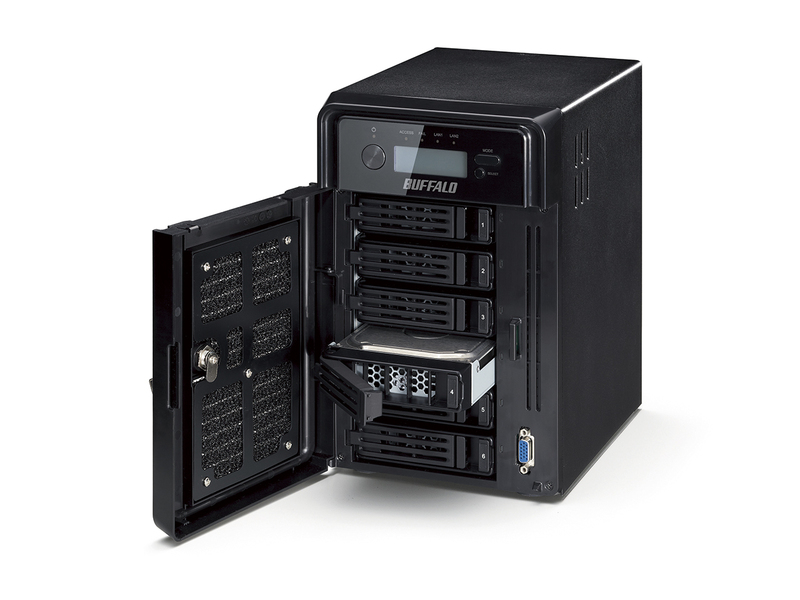 With the TeraStation WSH5610DN’s operating system completely located on an SSD drive of its own, each HDD is able to utilize space for user data. Without having to reinstall the OS for each RAID change, the dedicated SSD allows for faster boot time and more efficient operation. 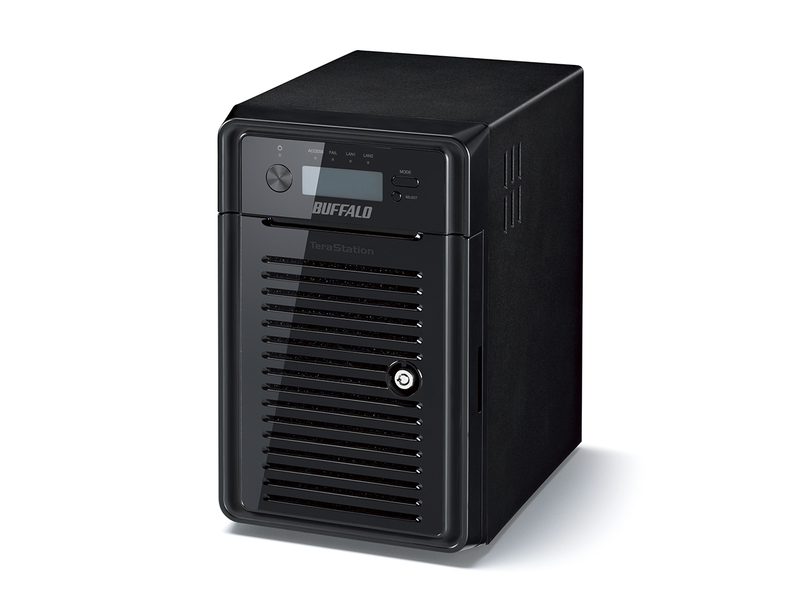 TeraStation WSH5610DN runs on Buffalo's TeraStation NAS System, providing a host of business-class features from network file sharing and security to RAID management, remote access and more. Managing data, backups and data sharing in a production environment or larger business is made easy with this NAS operating system. 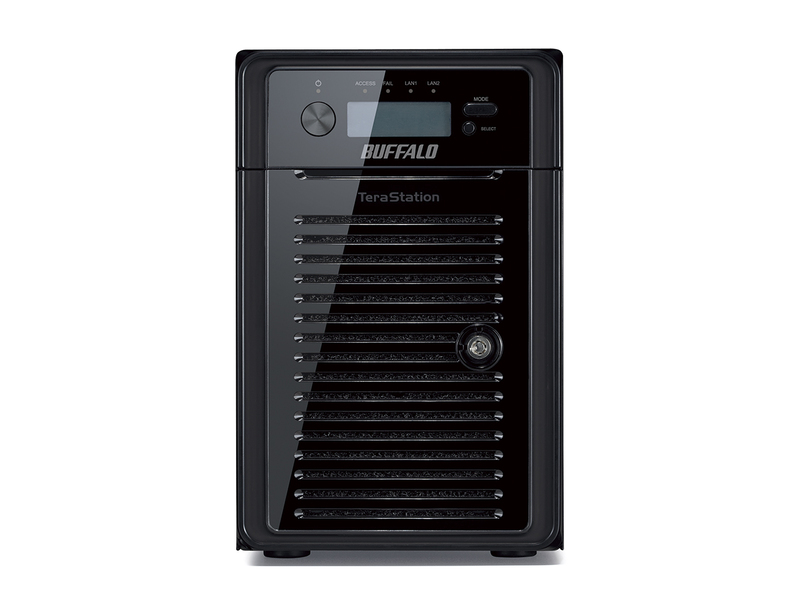 Included on all Buffalo TeraStation devices, TeraStation NAS System simplifies your everyday data needs. 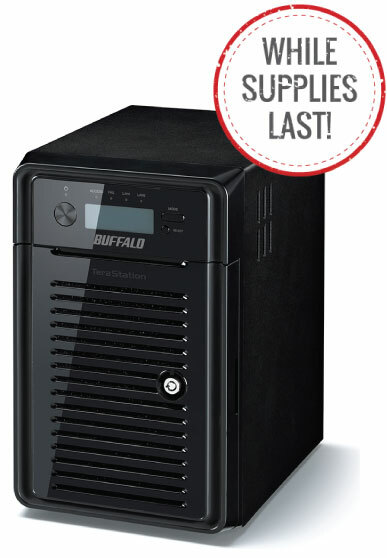 TeraStation WSH5610DN is bundled with eleven licenses of NovaBACKUP Buffalo Edition (one server and ten workstations), providing a complete, all-in-one data protection solution for PCs and Windows® servers. TeraStation WSH5610DN offers high capacity, highly available storage accessible among multiple platforms for seamless centralized storage and backup. Create user and group profiles and control folder and file access to protect business critical content and privacy. TeraStation WSH5610DN offers multiple ways to remotely access and share your important data for enhanced collaboration and productivity. With WebAccess and FTP/SFTP servers, you can securely access and share files with anyone outside the local network. 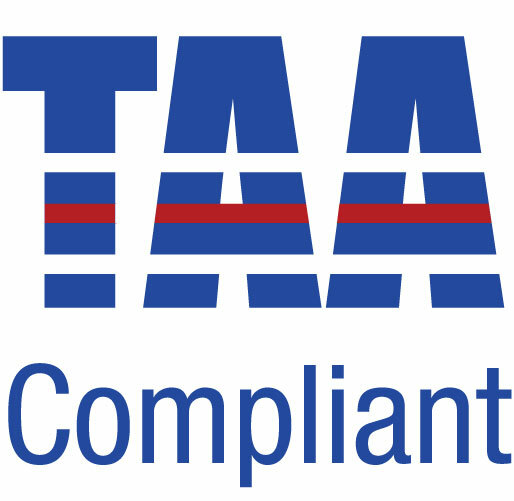 Trusted recipients can access selected files from anywhere over the Internet and with WebAccess files can also be accessed remotely from tablet and smartphone devices. Configure TeraStation WSH5610DN as an iSCSI target to add affordable virtualized storage to your business network. Storage virtualization serves to decrease IT spending by maximizing the resources offered by modern servers while providing affordable server scalability and reliability. A virtualized environment removes a significant amount of server dependence, shifting the burden to the storage devices. Backup mission-critical data to any cloud provider compatible with Windows® for offsite backup. Offsite backup adds an extra layer of protection against data loss due to environmental disasters or equipment failures at your primary location. Download 2017-06-11 2.90 Firmware Updater for WSH5000 series units. View Site 2017-30-01 User's Manual and Quick Start Guide for the WSH5000 series units. Download 2017-06-11 2.90 Readme for firmware update for WSH5000 series units.